Automile, founded in 2013 with headquarters in Palo Alto, recently closed on a funding round totaling $6.2 million. The Swedish startup is addressing enterprise-level fleet management with their app and standalone units designed to track and manage large fleets of trucks and other commercial vehicles. The app itself offers some basic features and tracking, while the standalone unit plugs into your OBD-II (on-board diagnostic, found on almost all vehicles 1996 and newer) and lets you tap into many systems of the vehicle, with the potential to alert fleet management of issues before they arise. But who better to talk about Automile than CEO and founder, Jens Nylander. We had a chance to speak with him about his product, the recent funding round, and some insights into entrepreneurship. Check out the interview below! Thanks for taking the time to answer some of our questions! Care to introduce yourself and your role at Automile? I am Jens Nylander, 36 years old, CEO and founder of Automile located in Palo Alto with another office in Stockholm, Sweden. I founded Automile in 2013 along with two other founders Jacob and Felix. This is my third startup. I was 23 when I started my first company with no external investors. The company JOS had a mission to change how to consume music digitally with small flash based music players but I was too young and despite the overnight success reaching $15,000,000 in revenue the first year, lost control over it. My second one JAYS founded in 2005 which capitalized on the music industry market by creating premium headsets was listed on Nasdaq OMX. For those not familiar, what is Automile? 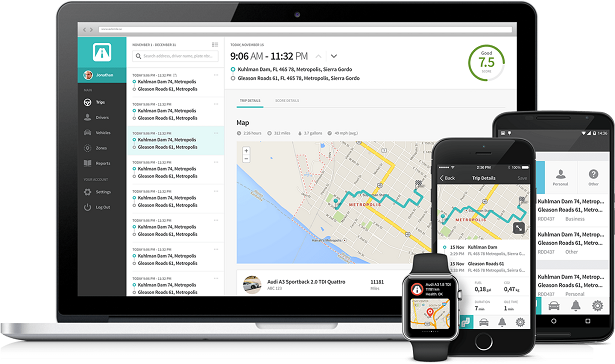 Automile is transforming fleet management experience for businesses of all sizes. Businesses managing vehicles and drivers need to become more productive by making sure they take the right routes, utilize their vehicles enough, stay compliant with local regulations, increase driver safety and improve communication across drivers, management and the customer base. 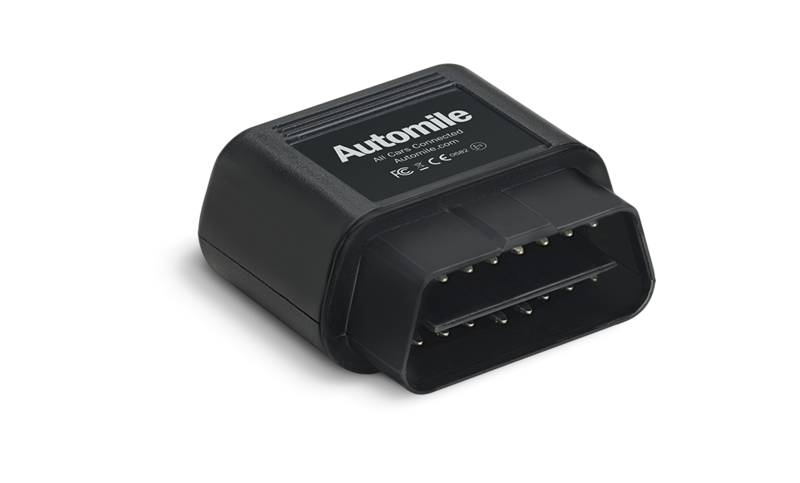 Automile solves all these points either using only the smartphone or using the small self-installed box that fits all vehicles since 1996 along with beautiful apps for the desktop or smartphone. What are some of the different things users can track with Automile? Mileage logged by each of their vehicles and use the IRS-compliant report for audit and for maximizing tax deductions. Automile is an enterprise solution also, right? What kind of fleet management tools can businesses expect? Right. Larger organizations are generally more challenged with increasing productivity and vehicle utilization. Optimizing the operational side of things to keep costs low and manage the large fleet of vehicles is very important to enterprise. These businesses need the tool sets to ensure that they are managing the routes efficiently, maintaining their vehicles proactively, keeping a close eye on driving behaviors, and increasing customer satisfaction. What kind of clients use Automile? Automile works with businesses across all industries and sizes. We are currently focused on supporting fleets of sizes up to mainly 250 vehicles which is the major part of the market. Businesses who use Automile vary from being in construction, manufacturing, landscaping, to plumbing, cleaning services and more. There are multiple ways to use Automile, right? There's obviously the smartphone app, but there's also a standalone unit? How does it work? Yes, that is correct. We started with offering the Automile Box which is a smart, self-installed tracking device that plugs into the OBD II port of a vehicle and is using GSM networks to communicate without the need of a smartphone. By using the sensors of the device, we are capturing all relevant data to empower the businesses and give them powerful insights about their vehicles and driving behaviors. It is a perfect option if they want 'always-on' tracking and we ship it to their door step. No installation needed and the device has an integrated SIM card and data plan is included that can be used in 54 countries. Businesses heavily using smartphones in their business can choose to use these as a replacement or complement to the Automile Box. The smartphone sensors will still deliver accurate data but the phone always have to be in the actual vehicle. You recently completed a funding round, how did that go? What do you want to highlight? We were planning to raise later during 2016 but during second quarter we started to do some pre-marketing activities for the coming funding and we got a number of investment offers already then. We did choose to work with Jason Lemkin which led the round. It was instantly over-subscribed by all other participants and we had to stop at $6.2M to minimize further dilution for the founders since we are already strong financially. Jason Lemkin and his new SaaStr Fund has led this investment along with Twitch founder, Justin Kan, Skype founder, Niklas Zennström, and Pingdom founder, Sam Nurmi. Existing investors Dawn Capital and Christoph Janz, an early-stage investor in Zendesk, and his Point Nine Capital fund also joined the round. We are very excited to have these terrific industry leaders backing us and with their support and the growth momentum we have today, Automile is well positioned to gain significant market share. Thanks for taking the time to answer some of our questions, anything you'd like to close with? As a serial entrepreneur with 13 years of experience I have been facing all kind of challenges that have converted into learnings. My most important learning can be summarized into a quote by Jason Lemkin: "a low burn rate is one of the greatest freedoms known to mankind". The last few years I have seen more and more startups that have had great ideas but very little focus and knowledge how to create sustainable revenues with a company that can show profits and survive on its own. This means these startups are eventually burning their money fast only holding thousands or millions of users but still they don't really know how these users would actually mean long-term revenue and converting the company to an actual future profitable company. It's a dangerous path, both for investors and founders and I encourage every founder to think about how to create yearly revenue and that the company one day should be profitable. We'd like to thank Jens for taking the time to answer some of our questions. If you'd like to learn more about Automile, make sure to check them out here.